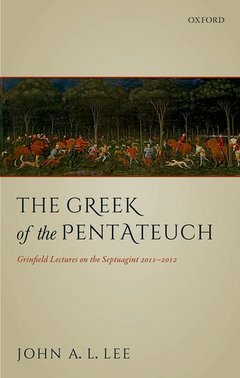 The Greek of the Pentateuch Lee John A. L.
Auteur : Lee John A. L.
The nature of the Greek of the Septuagint has long been debated. Interference from the original Hebrew is present but scholars continue to disagree on its extent and significance. The Greek of the Pentateuch builds on John A. L. Lee's previous work on the vocabulary of the Pentateuch and its links with documentary texts, while offering a fresh perspective on the field. This timely and authoritative contribution argues that the language the translators used was fundamentally the Greek of their time and that they had full competence in it. The volume is divided into seven chapters which proceed through several topics: use of evidence, language variation, educated language, the presence of Greek idiom, the translators' collaboration, and freedom of choice in dealing with the Hebrew. A final chapter draws conclusions not only about the Pentateuch translators' knowledge of Greek, but about the translators themselves, their achievement, and their audience. The book presents a wide range of examples, comprising both vocabulary and syntax, from the Septuagint itself, Greek papyri of the period found in Egypt, and Classical and Koine Greek literature. John Lee was trained in Classics at the University of Sydney, where he also learnt Hebrew. After gaining his doctorate in Cambridge in 1970, he lectured on Greek for nearly 30 years at the University of Sydney before retirement in 2001. His research interests are in Greek language, especially all forms of Koine Greek, and Greek lexicography. His doctoral dissertation was on the language of the Septuagint Pentateuch and his Grinfield Lectures on the Septuagint in Oxford (2011-2012) carried the same subject further. He is also known for his History of New Testament Lexicography (2003).